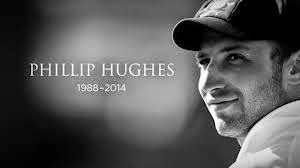 Phillip Hughes, the Australian test batsman has died, two days after being hit on the head by a ball. Peter Brukner, Australia team doctor, said he never regained consciousness and died in hospital in Sydney. "He was not in pain before he passed and was surrounded by his family and close friends," he said in a statement. In an incident that has stunned the cricketing community in Australia and abroad, Hughes, 25, was hit on side of the head while attempting to hook a ball during an inter-state Sheffield Shield match at the Sydney Cricket Ground on Tuesday. Hughes, who was wearing a helmet, appeared to compose himself but then leant forward and collapsed face first onto the pitch. The batsman, who played 26 Tests for Australia, was taken to hospital and remained in an induced coma.